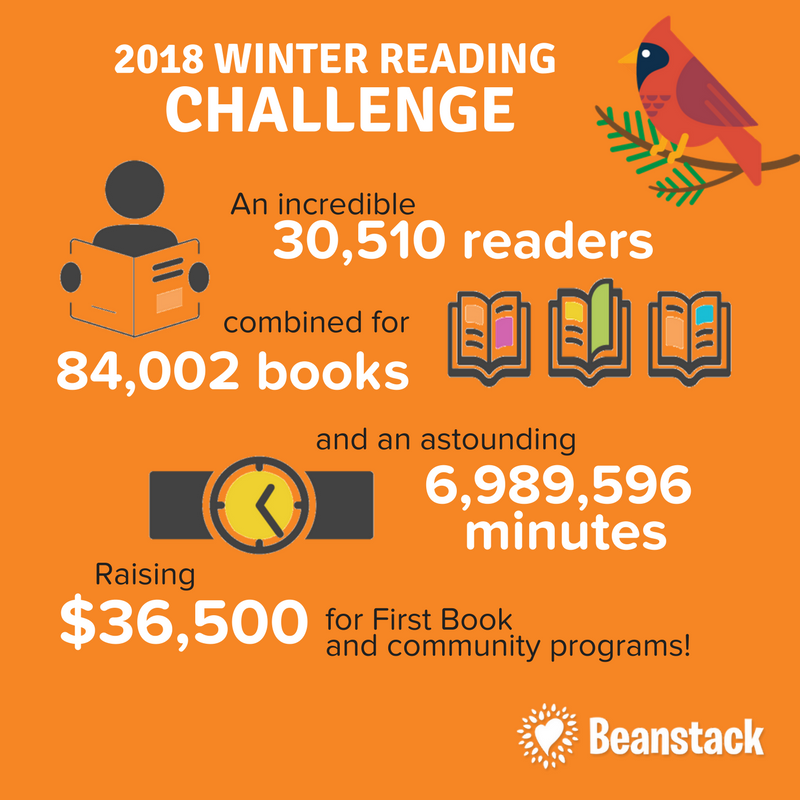 The inaugural Beanstack Winter Reading Challenge for libraries came to a successful close this month, as more than 100 libraries all over the country and South Korea far eclipsed an ambitious goal set by investor and Shark Tank personality Mark Cuban. The most popular books included both old favorites and new page-turners. "Goodnight Moon" led the way for the preschool set, while Harry Potter titles topped the list for young students. "To Kill a Mockingbird" was the number one choice for teens, followed by newer titles such as Nicola Yoon’s 2015 romance "Everything, Everything," and Alexandra Diaz’s 2017 immigrant novel "The Only Road." Among adults, Dan Brown’s 2017 thriller "Origin" was the runner-up, while the most-read title turned out to be "A Wrinkle in Time," Madeleine L’Engle’s 1962 science-fiction novel, which benefited from the upcoming release of a movie adaptation starring Oprah Winfrey. Beanstack (http://www.beanstack.com) is an online platform for local families to participate in reading programs, early literacy initiatives, and book clubs. The service provides tools to track their reading and earn incentives, as well as sending personalized emails or text messages recommending a book or upcoming event. For libraries and schools, Beanstack makes it easy to register patrons, create reading and activity challenges, and produce extensive reports. The entire experience is set apart by the software’s easy usability and customized, mobile-first design. 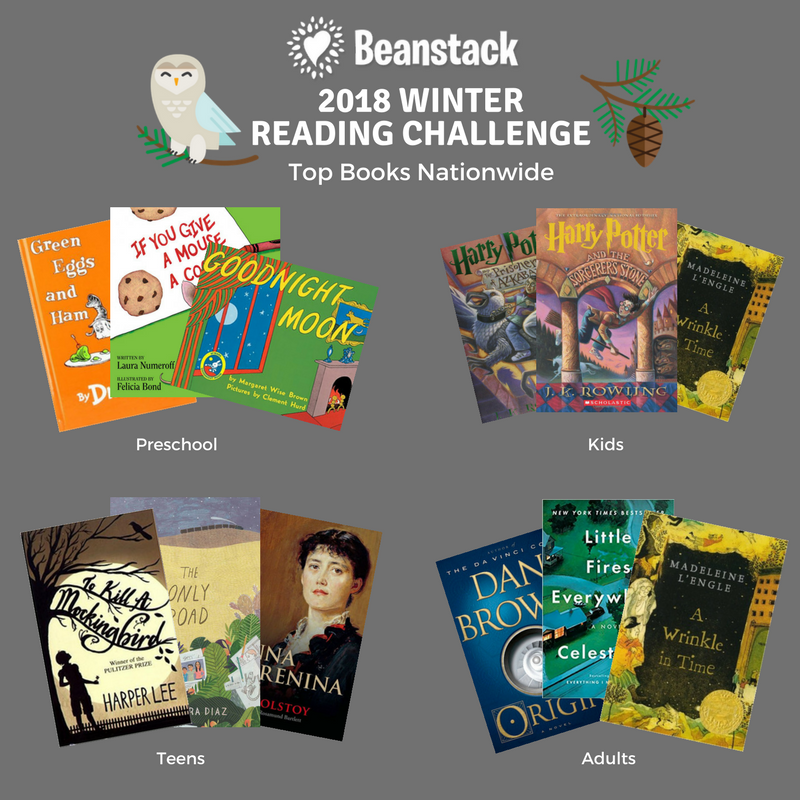 In 2018, Beanstack plans to launch a first-of-its-kind mobile app designed to encourage reading all year long.